We consider the strength of the economy and the overall direction of the market, but are ultimately bottom-up rather than top-down investors. We place intense focus on the risk side of the investor equation, not just on the potential upside. We seek out companies with healthy balance sheets, positive cash flows, solid business models, and strong management. We tend to be contrarian investors by purchasing stocks of companies that we believe are only temporarily out-of-favor. We look for companies that have an intense focus on delivering long-term shareholder value. 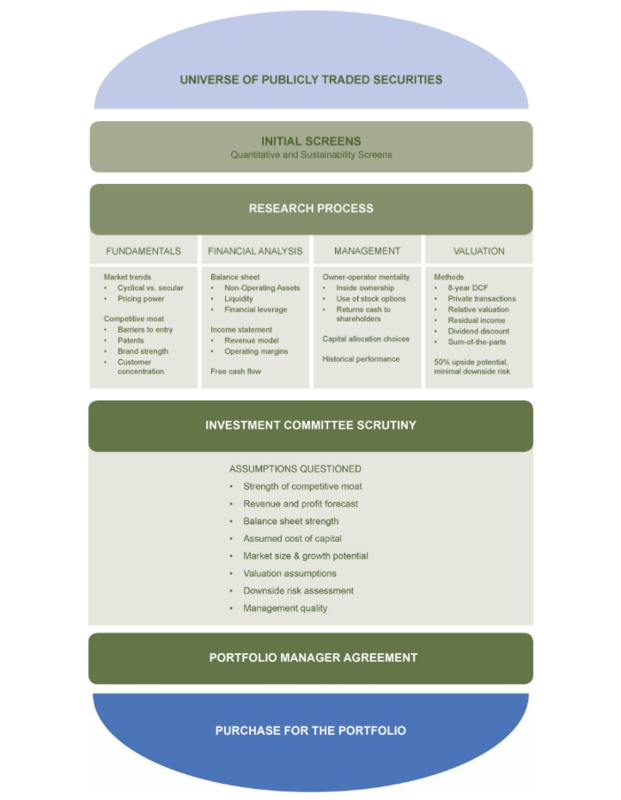 We have the ability to customize client portfolios according to values based criteria, risk tolerance, and return goals and, in some cases, portfolio managers consider securities outside of the formal research process.